Having served over 20 years in the United States Air Force in various technical and non-technical roles, including Aircraft Avionics (Instrument, Navigation, and Autopilot Systems), Avionics Training Manager and Leadership Master Instructor, technology has been pretty much a constant during my whole career. Since retiring from the Air Force, I have managed and/or consulted in many areas including engineering, healthcare, government, industrial, and several non-profit organizations. A life-long learner, I can look back over 20+ years in the training and organizational development profession and see a distinct technical thread throughout my career. I am currently a Training Program Analyst and Program Manager for Information Systems Training, a division of BlueCross BlueShield of South Carolina. In another role, I am also an MBA and Graduate-level Professor for Southern New Hampshire University, specializing in leadership, management, consulting, and organizational development. In addition, I also volunteer as a member of the Computing Technology Industry Association (CompTIA) Future IT Skills Committee, a diverse group of professionals from across the Nation focused on the future of technology and developing a highly skilled workforce; as well as promoting technology careers from kindergarteners to career changers. As far as formal education goes, my Doctorate is in Organization Management with a specialization in Leadership; and a Master’s in Management and Leadership. However, my technical roots go back to my Bachelor’s in Workforce Education, as well as my two Associate Degrees, first in Aircraft Avionics Technology and second as an Instructor of Technology. Instead of choosing technology as a career, technology seemed to choose me. Early in my military career, I was asked to develop and instruct several technical training initiatives; prior to ever considering training, technical or otherwise, as a profession. Later on, working in the various technically focused training positions since 1985, I finally dedicated my career to developing others in both technical and non-technical aspects of their career. However, a successful career can’t be developed in a vacuum. Over the years, many people have stepped-up to guide and mentor me along the way, as I have strived to develop others. I always strive to create relationships that are mutually developmental. I love mentoring others and learning from them as our relationship develops. A particularly memorable mentoring period in my career was as a member of Leadership Columbia (class of 2010-11). During that year of development, 60 participants shared their expertise and guided each other both personally and professionally. To this day I have several close friends from that outstanding shared experience. If history holds true over the next 10 to 20 years, technology will continue to change at an exponential rate. Regardless of what that future holds from a specific technological perspective, people will need to be developed and guided by those that have been there and have experienced and navigated previous changes, regardless of industry. Still, some of the most important skills needed to address those pending changes are understanding, communication, and transparency by those that have been there. All three are key aspects in successfully developing a highly skilled and engaged technical workforce of the future, again regardless of industry. In turn and of primary importance, the seasoned technologists must also recognize the value new ideas and skills can bring to the “current” equation. Mutual development and knowledge sharing can prove to break down walls and produce outcomes that are exceptionally productive for all involved. For those considering a career in any science, technology, engineering, or math (STEM) field, I would remind them that as in most all careers growth, development, and expertise tend to come over time, through experience. Initially, their jobs are to be sponges and soak-up everything about their job, their organization, and the entities they serve internally and externally of their organization. Most importantly, if they ever feel they are not learning or developing, speak-up and let someone know immediately! Lastly, to achieve success in a technical career you must become a lifelong learner. 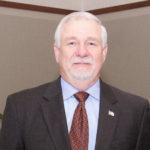 James E. Taylor, PhD is a Training Program Analyst and Program Manager for Information Systems Training, a division of BlueCross BlueShield of South Carolina. 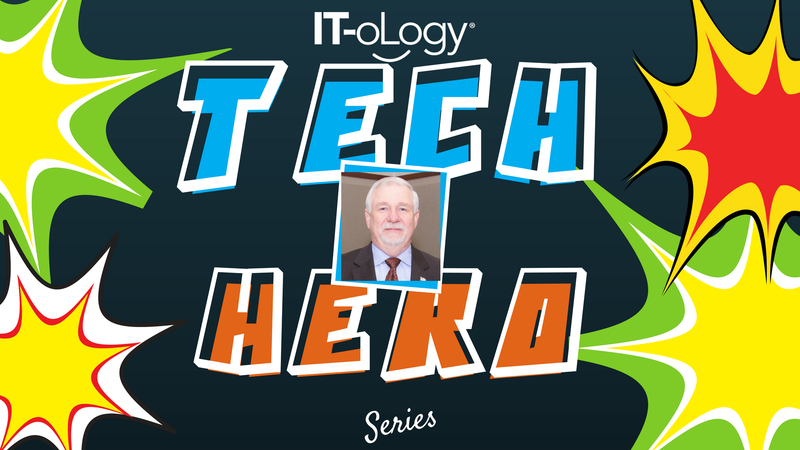 He is an IT-oLogy Tech Hero!